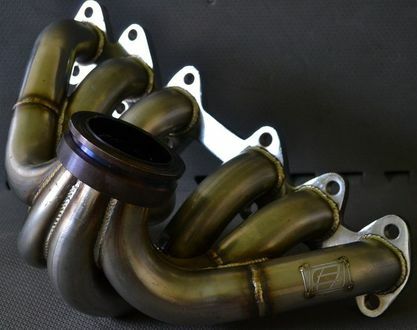 Our Pro Series manifold is proven the world over as being high performing, robust, cost-effective and is designed to house a 44/46mm wastegate. Large tube .090" wall thickness assures longevity, excellent heat cycling and with our exclusive collector design, scavenges like no other manifold on the market. It is designed to house 88mm to 94mm turbos in both v-band and non-standard flange. Turn around time is 21 days from date of order and we supply with wastegate flange of your choice welded on. If you select a custom turbo mount flange we will need to have an engineering quality drawing to confirm fitment. Ceramic coating is available optionally.